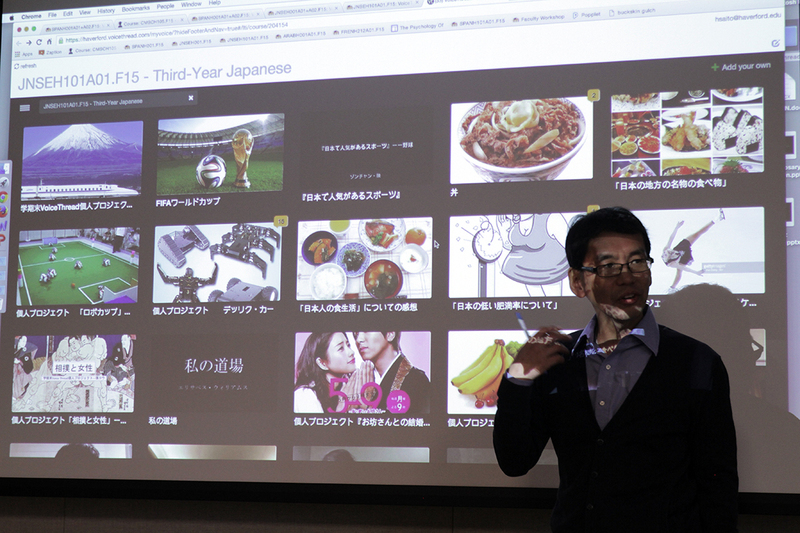 Tetsuya Sato, Director of Japanese Language Program, discusses student projects in 3rd year Japanese. LACOL was proud to co-sponsor Haverford’s Teaching with Technology Forum for Fall 2015 which was organized by Instructional & Information Technology Services (IITS). 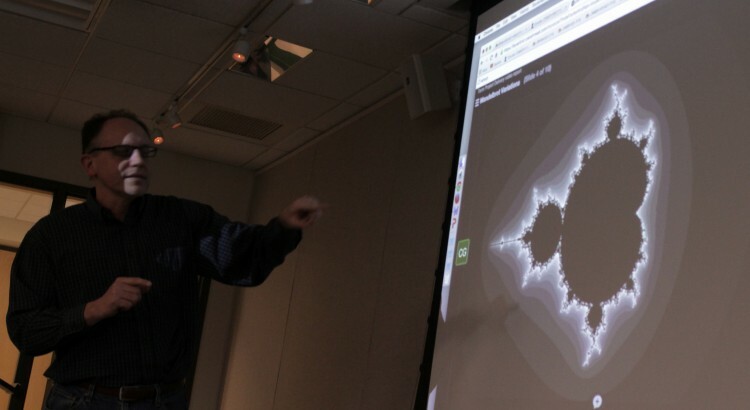 Eight Haverford College faculty members shared their approaches and experiments in using digital teaching and learning tools that help to increase student engagement with course material, their classmates, and faculty. Hiroyo Saito, Director of IITS’s Instructional Technology Services and her team work closely with faculty in planning this semi-annual event. Ana López Sánchez, Asst. 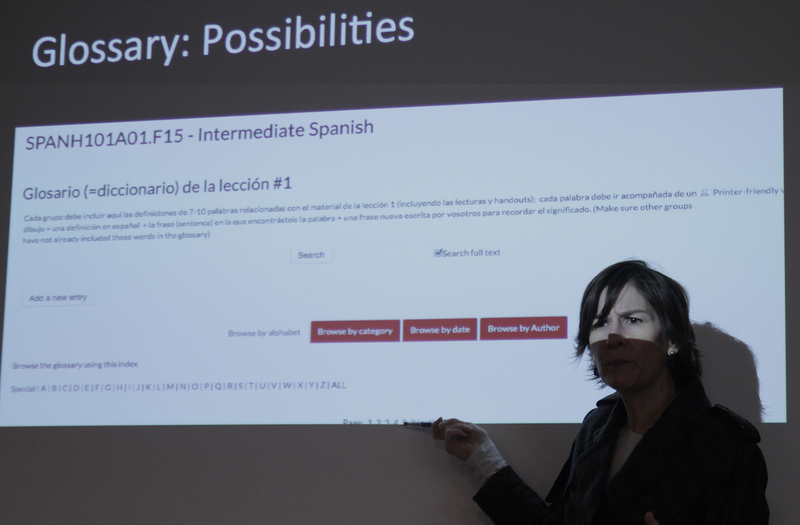 Professor of Spanish, describes her students’ online glossary project.